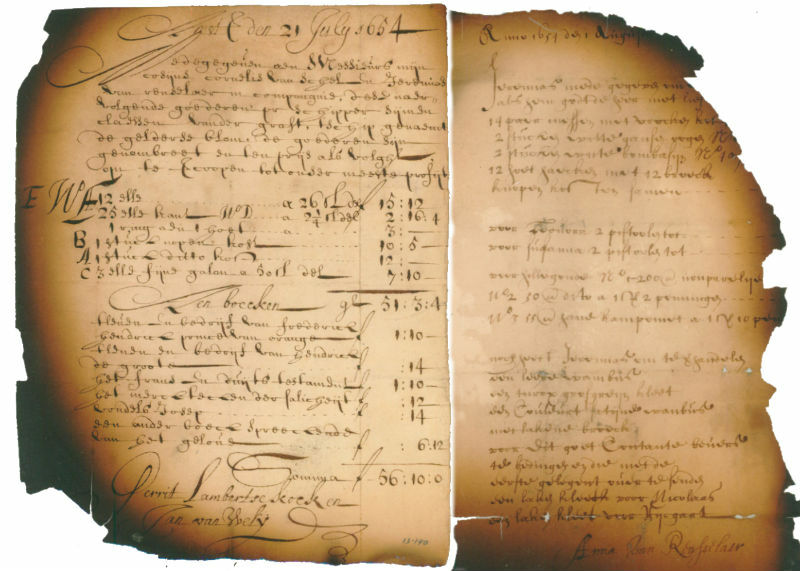 The collection has many invoices such as the two shown here that contain an abundance of details about 17th-century material culture of the van Rensselaer family. Left: This is a detailed account of books and lace and other textiles sent with Cornelis van Schel and Jeremias van Rensselaer from Amsterdam via the ship De Gelderse Blom to New Netherland to be sold on behalf of Gerrit Lambertse Kock and Jan van Wely, July 21, 1654. 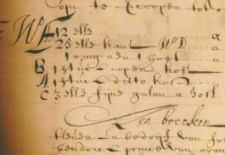 Right: Account includes knives and forks, buttons, pistols, and all sorts of textiles given to Jeremias van Rensselaer before his departure for New Netherland to trade on behalf of his mother, Anna van Rensselaer, and his siblings, August 1, 1654.